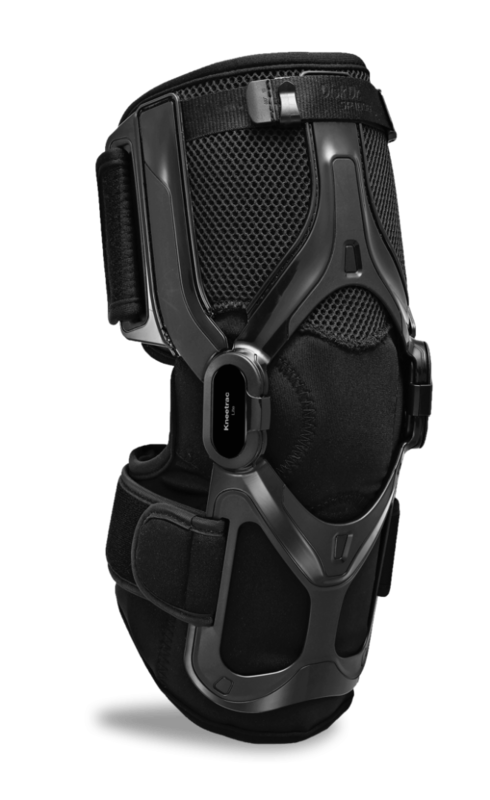 The first OA Knee Brace to unload both compartments in the knee. 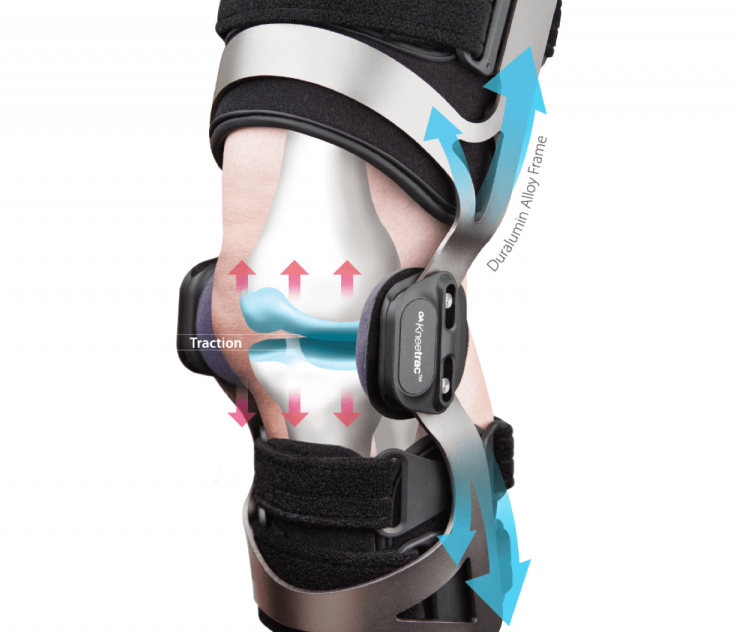 The Kneetrac Lite’s sleek and featherweight design promotes OA Knee Pain Relief and can be discreetly worn under clothing allowing an active lifestyle. X SMALL 7 – 15.5 IN. 12 – 13 IN. 10 – 12 IN. SMALL 15.5 – 18.5 IN. 13 – 14 IN. 12 – 14 IN. MEDIUM 18.5 – 21 IN. 14 – 15 IN. 14 – 16 IN. LARGE 21 – 23.5 IN. 15 – 17 IN. 16 – 18 IN. X LARGE 23.5 – 26.5 IN. 17 – 19 IN. 18 – 20 IN. 2X LARGE 26.5 – 29.5 IN. 19 – 21 IN. 20 – 22 IN. 3X LARGE 29.5 – 32 IN. 21 – 23 IN. 22 – 24 IN. X SMALL 7 – 15.5 IN. SMALL 15.5 – 18.5 IN. MEDIUM 18.5 – 21 IN. LARGE 21 – 23.5 IN. X LARGE 23.5 – 26.5 IN. 2X LARGE 26.5 – 29.5 IN. 3X LARGE 29.5 – 32 IN. X SMALL 12 – 13 IN. SMALL 13 – 14 IN. MEDIUM 14 – 15 IN. LARGE 15 – 17 IN. X LARGE 17 – 19 IN. 2X LARGE 19 – 21 IN. 3X LARGE 21 – 23 IN. X SMALL 10 – 12 IN. SMALL 12 – 14 IN. MEDIUM 14 – 16 IN. LARGE 16 – 18 IN. X LARGE 18 – 20 IN. 2X LARGE 20 – 22 IN. 3X LARGE 22 – 24 IN. Don’t live with leg pain. Osteoarthritis seems gradual, but worsens over time. The revolutionary treatment for Osteoarthritic knee pain. DDS introduces a revolutionary approach in the treatment of osteoarthritis knee pain. 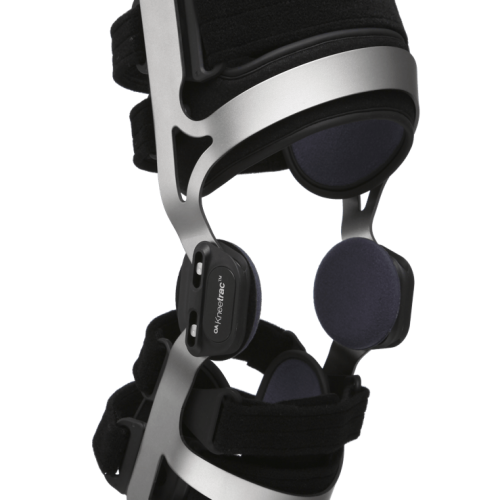 Our innovative Leverage Traction System sets our product apart from all standard OA knee braces. The product’s frame is made of duralumin ally, a new and advanced material used in manufacturing airplane, which is lightweight and durable. The Triangular Shaped LTS Hinge acts as a lever to displace heavy body weight away from the affected knee. It is activated whenever the leg transitions from bent to extended positions. 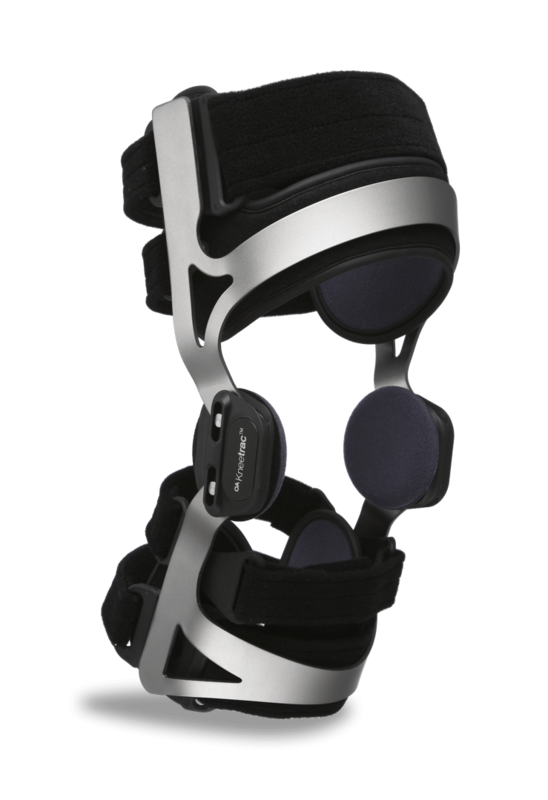 For a patient who has undergone surgery or needs rehabilitation, and requires restricted movement of the leg, the OA Kneetrac’s Angle Lock System can be initiated to accommodate such needs. Designed to relieve the condition with no cure. 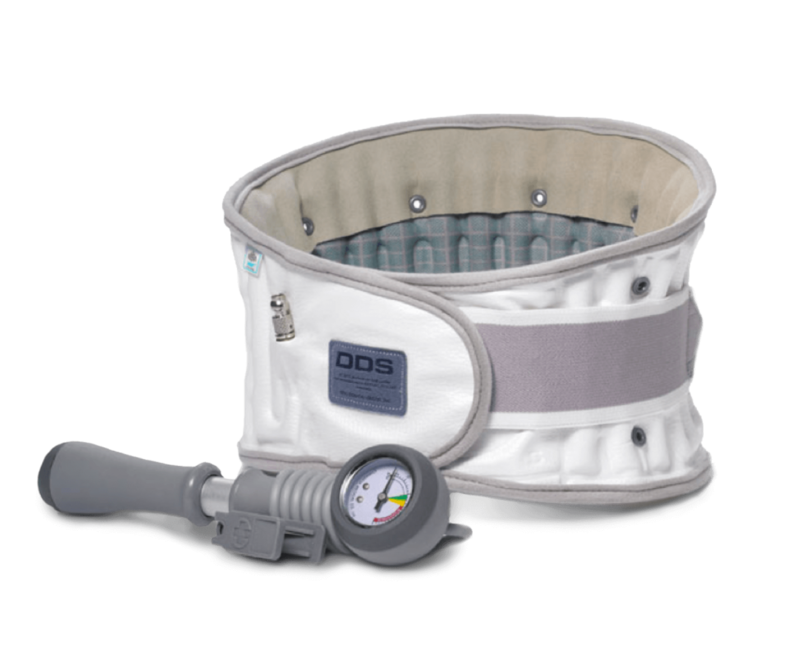 The DDS OA Kneetrac is the perfect solution for moderate to severe osteoarthritis that requires load reduction to the affected medial and lateral compartments of the knee. 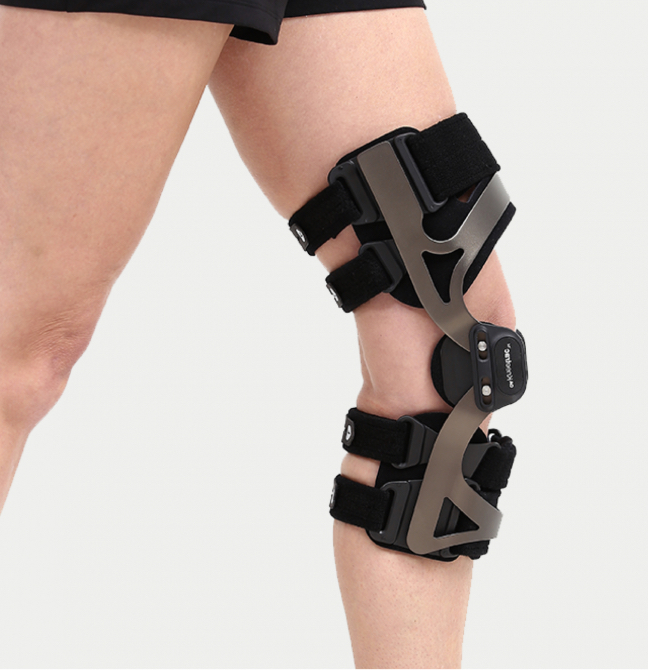 It incorporates a uniquely designed triangular shaped hinge to provide decompression to unload two compartments in the knee joint, whereas standard braces only unload one. A gentle pull goes a long way. The posterior straps anchor on top of the calf muscle and to the bottom of the hamstring. As the leg extends the LTS Hinge gently pulls in opposite directions, decompresses,and unloads the knee joint. 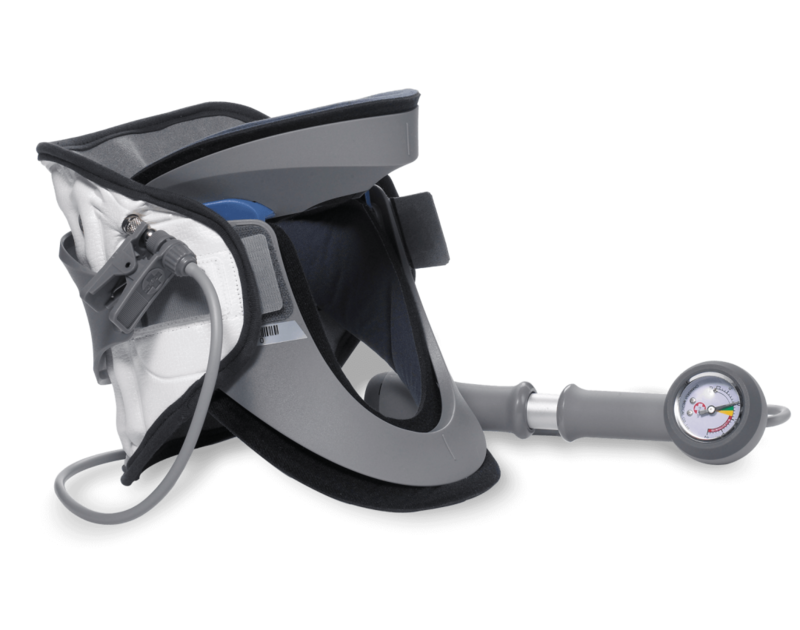 This reduction of pressure supports and stabilizes the knee, eases pain and assists active rehabilitation. We give you support where it’s needed and comfort where it’s not. 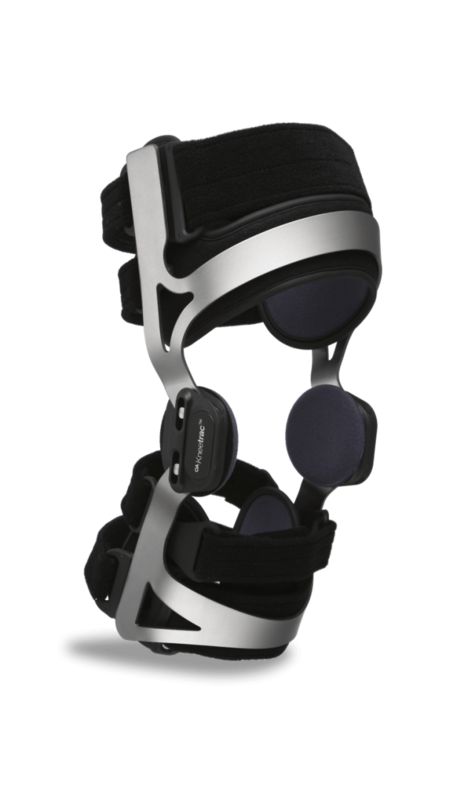 The OA Kneetrac’s Traction System is the culmination of intelligent frame and hinge design. The LTS technology provides decompression to the knee joint by re-establishing the natural space and cushioning that’s missing between the femur and the tibia when afflicted with osteoarthiritis. Any loss of cartilage between the knee joint or even a sudden increase in weight can strain the knees and cause painful inflammation. 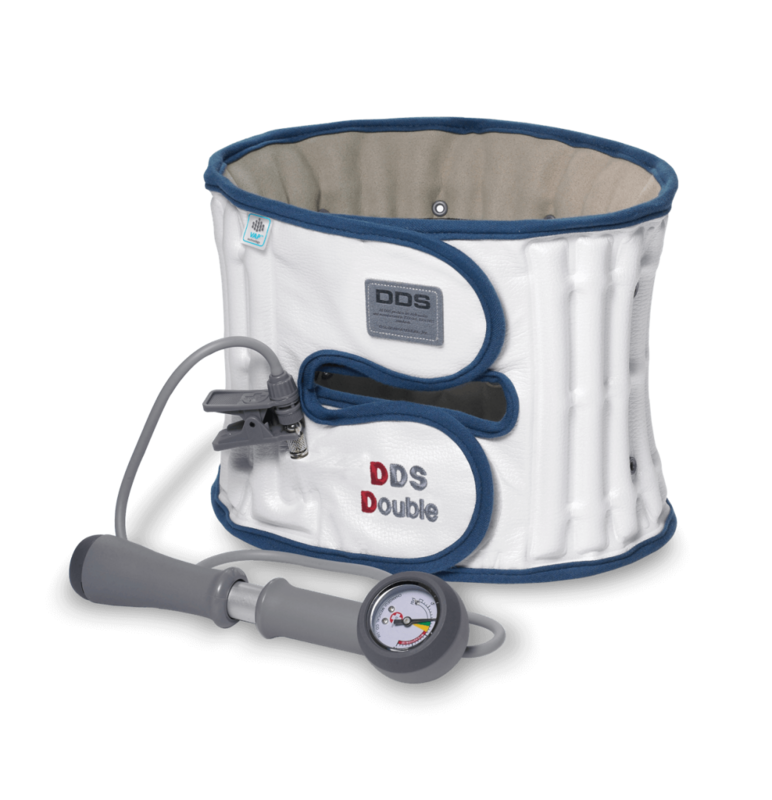 Here are a couple of reviews shared by our customers that have used DDS Neck, Back, and Knee products. 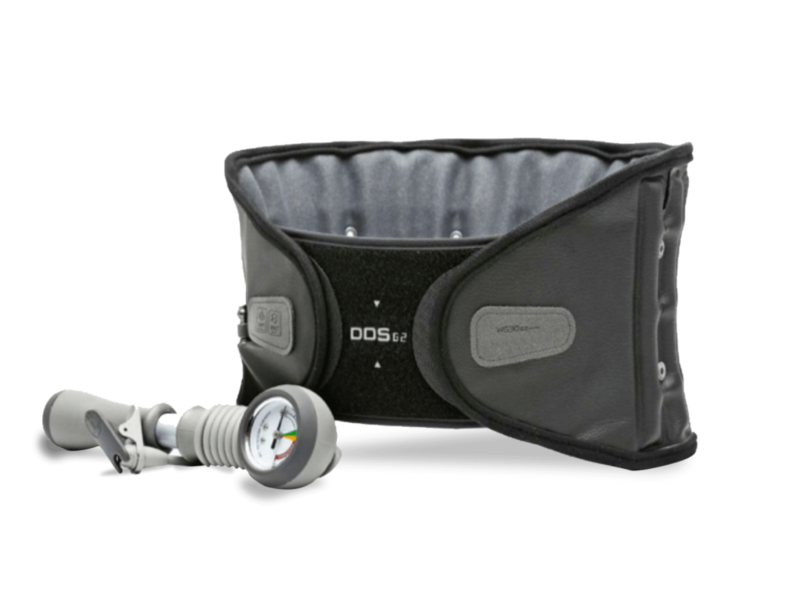 DDS OA KneeTrac has helped eliminate knee pain. Login to keep track of your order history, update payment information and see available coupons or promotions. 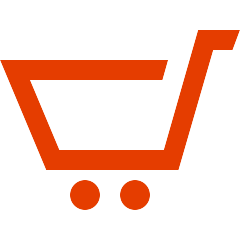 Create an account to keep track of your order history, update payment information and see available coupons or promotions. Customers who viewed this​ product also viewed​ the following product. © 2019 Disc Disease Solutions, Inc.